Your heart beat pounds loud enough for your audience to hear (surely…), your mouth is giving the Simpson desert a run for its money in dryness, your hands sweat, or shake, or both. No matter how confident we are with our presentations, there will be one time or another where the stakes are raised, and our adrenalin hijacks our entire system. In a recent book, The Organized Mind; Thinking Straight in the Age of Information Overload the human brain is described as a house renovation from different eras, that don’t often don’t communicate well with other parts. What that means for us as presenters, is that the same system that saves us from being run over by a car, or eaten by a large predator, engages when we just have to get up in front of an audience and present. This is not ideal….There are a few things we can do to help balance this reaction out. Hold a Power Pose for two minutes. Use the interrogative: Can I do this? When we open up our body language and take up more space, our physiology reacts by changing the hormone levels in our body. Researchers from Harvard University found that standing in a power pose for two minutes (think Wonder Woman or Superman) raised the level of testosterone (gives us a sense of confidence and capability) and reduced the level of cortisol (the hormone responsible for our reactivity to stress. There is a full post, and links to the work of the researcher, Amy Cuddy, here. Try a breath that goes in for two, and out for two. This doesn’t stop our heartbeat from racing, but it does stop it from being erratic- which is enormously helpful. There is more information on this in the last ten minutes of this video on How to Hack Your Biology. When we use declarative statements like ‘I can do this’, it opens up our mind’s favoured activity, which is problem-solving. That means that we look for reasons to dispute this statement. When we ask, ‘Can I do this?’ and write a list of the reasons why we can, we use that activity to help us. There is more on this research in Daniel H. Pink’s book, To Sell Is Human. 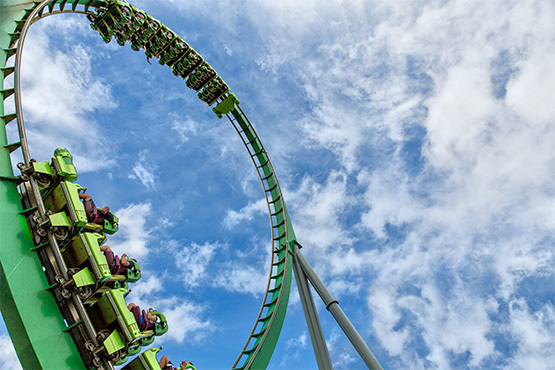 Which of these strategies can you use this week to get off the roller coaster of stage fright? What are your guilty clichés? Every industry has its clichés. He was as mad as hell. Weak as a kitten, strong as an ox. They show us that we have a shared language, and understanding. They are grounded in shared experience and that means they are shared over time. But time bleaches words of meaning. Words left open to the light from repeated exposure lose their vividness and colour. The danger of the cliché is that we give our audience permission to zone-out. When our audience can anticipate our trajectory, we give them permission to get comfortable. That’s not entirely a bad thing. If I turned up for a corporate presentation in my pyjamas, there would need to be a compelling reason, and it would need to be tied to a theme in order for it to make sense. If I didn’t, I would run the risk of being so disruptive that nobody would pay much attention to what I was saying. That said, we so often run in a default mode of repeating the familiar that we lose the opportunity to be fresh. We have so many tools at our disposal to engage an audience, why leave it to the poets and the writers to create something fresh? Must every presentation be at the front of the room? Are we doing the same things all of our competitors are? 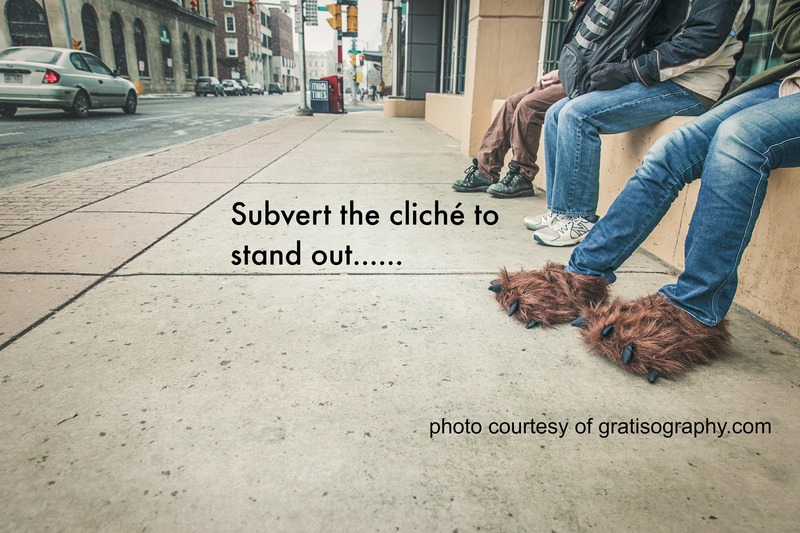 Think about the kinds of clichés that are in your industry, and avoid them….like the plague. What are the clichés you are guilty of using the most? What one clichéd way of doing things can you change this week? Show your face to be more likeable. 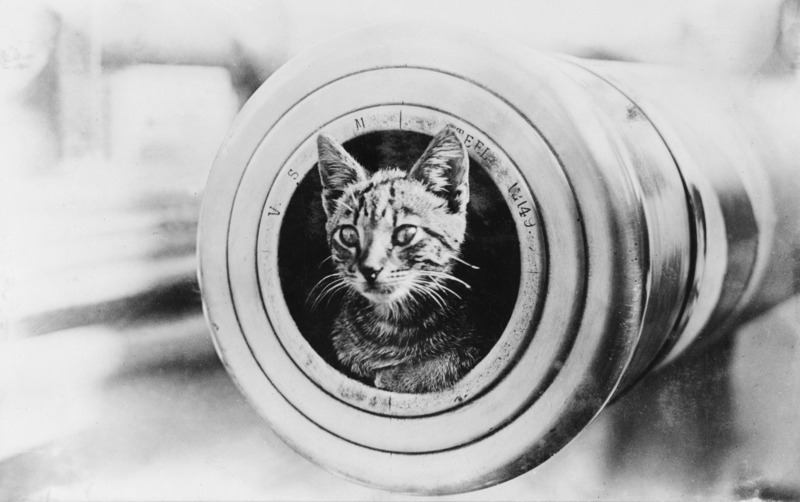 Easier than being a cat in a cannon. What if there was a way to be more likeable that didn’t take any special skills that was free and easy to implement? What if you could be more likeable if you just show your face? There could be something useful in that. Social psychologists have conducted studies on how proximity effects how we connect with others. Brothers, Ori and Rom Brafman detail some of these studies in their book, ‘Click; The Magic of Instant Connections – and how they can transform our work and relationships.’ The studies described below are resourced from this book, which is a fun and interesting read, and might help you understand what steps will help you build connections in life and work. Here’s a quirky word to add to your vocabulary; propinquity. It’s the term social psychologists use when studying the effects of proximity on our relationships. It is the area of research that describes why we are likely to have a connection with a neighbour (at work/in a dormitory, 40% likelihood) and that likelihood halves if they are two doors down. Should you turn up to a meeting early? One of the proposed reasons for this exponential growth in how proximity affects who we connect with, is spontaneous communication. These are the conversations about the weather, or everyday life that create cohesion in groups. Small talk is the ‘social glue’ that creates trust to communicate about bigger things. Why would showing your face make better connections? When we take the small talk out of the equation, even the people who we repeatedly see make an impact on how we perceive them. Psychologist call these ‘passive contacts’ and this is where we get the idea that just showing up and showing your face will make you more likeable. Of all the choices, email is the weakest for creating connections. One manager expressed her exasperation at having to constantly direct staff to pick up the phone, or walk around to a colleague’s desk and talk to them. This manager got it. If we want to communicate better, and create better connections, we need to talk to people. In fact, if you want to dehumanize someone, you’re more likely to kill someone through the push of a button, than if you have to do it face-to-face (but that’s another study). If you only communicate through email about important issues, it might be time to rethink the short-term convenience over the long-term impact. What choices can you make this week that will make you a better communicator? This five minute video has ‘Click‘ author, Rom Brafman explaining our likelihood of making connections and working with others based on proximity. It comes from a longer talk that explains how much better teams perform when they are more connected.